'Overground will be run by TfL' – oh really? The big announcement that south London rail services will be brought under Transport for London fails to mention one thing – the service will actually be operated by foreign firms, for profit. Last week, as the decision was made to bring all of the rail services that serve south London into the Transport for London (TfL) fold you could almost hear all of south London breathing a massive sigh of relief. No longer will they be faced with cattle-truck conditions (when their train actually turns up). There is absolutely no doubt that this was a necessary – and welcome – move. And while we may roll our eyes when we wonder (rightly) if it was a political move by the Department for Transport and the Mayor of London to neutralise some of Sadiq Khan’s main calling cards in the run up to the London mayoral election in May, there can be no doubt that this decision is likely to improve the experience of commuting and travelling for millions of people, in the same way that the Overground already has done for those living in other parts of the capital. But in the haste to celebrate – or look askance at the politics of it all – many people suggest that this move shows the government admitting the failures of rail privatisation. This is a big mistake. What we have instead is a sort of bastardised public-private ‘partnership’, in which we give private companies the ‘brand’ of public ownership, deflecting attention and responsibility away from them, whilst they continue to take profits abroad to subsidise publicly owned rail in places like Germany. It’s fair to say that there probably hasn’t been some sort of Damascene conversion to the all-round benefits of public ownership. But while many focus on the political manoeuvres that led to the decision, or the implications for the TfL map, this distracts us from the real issues. To understand this we need to be clear who owns and runs London Overground. London Overground is run by London Overground Rail Operating Limited (LOROL), who are paid by TfL to provide the services. LOROL is owned by MTR Corporation of Hong Kong and Deutsche Bahn AG of Germany (DB), with DB’s stake managed by Arriva, the arm of DB responsible for their operations outside Germany. A straw poll tells me most people using the Overground don’t realise this, assuming it’s publicly owned, mostly because it’s part of the TfL map. Last year LOROL made £4.17m profit. The three years before that it was £1.2m, £5.5m and £5.2m. But to see the true picture we need to look at the amount of dividends paid out. In 2014-15 LOROL paid £3m in dividends, and the three years before that it was £4.6m, £8.6m and £8.4m. So this is a total of £24.6m paid out over 4 years, straight to MTR and DB – about 4% of their total turnover. Not bad for a ‘not for profit’ public service. And remember, this money is guaranteed as long as they keep costs down, as they get the same amount regardless of passenger numbers. But more than just freedom from ‘revenue risk’ the LOROL ‘partnership’ with TfL enables companies to use the well-liked and well-known brand of ‘not-for-profit’ public ownership, saving them a lot of political hassle, and warding off any public calls for a genuinely publicly owned and run railway. about two-thirds of the public want to see public ownership of railThe prospect of these calls growing louder is real. We know that – when asked – about two-thirds of the public want to see public ownership of rail. And we also know that broadly speaking this isn’t just because the public think it’s more effective. It’s not just about ‘whatever works’. We care who is in control: a full 52% of the public want public ownership even if the private sector maintained standards. So the arguments about passenger (sorry, customer) satisfaction, put forward to support the new LOROL partnership, are a bit of red herring that distract us from what’s going on behind the scenes. Given the public attitudes towards privatised rail there’s clearly a lot to be gained by being brought under the TfL ‘not-for-profit’ brand. Its not too dissimilar to an outsourcing arrangement – another form of service privatisation, which is also instinctively disliked by the public. And this arrangement provides a public service mask that works for the Conservatives, as much as it does the companies themselves. It’s a political (and financial) coup for all involved. LOROL must be having a lorra lorra laughs all the way to the bank. And the Conservatives will be hoping Zac Goldsmith laughs his way into City Hall. Of course, this move is still welcomed. The new partnership will improve services and probably lower profits (slightly). It may also boost income for TfL, which itself is publicly owned. But there are still major problems. This is another example of London getting a better deal, as it does in buses too. It will improve connectivity in London, but doesn’t address integration nationally, which can only really be addressed with a publicly owned rail service. But most importantly, it lends a veneer of respectability to a privatised rail service which we know the public don’t want, but at the same time obfuscates the issue making it less likely there will be complaints. So while TfL shouts about it’s ‘not for profit’ ethos in adverts plastered across the tube, we need to make sure that this goes more than skin deep. We shouldn’t allow the not for profit nature of TfL to be used to obscure a system that siphons off profits to private shareholders or foreign firms. Perhaps TfL could be a little more honest when it tells passengers: "We are a public body, with no shareholders or parent companies, which means we can reinvest every pound of income in the transport network". Part of your rail fare goes to foreign, for-profit firms. Of course, this isn’t all TfL’s fault (although we would be right to wonder if they really would want to do it differently). 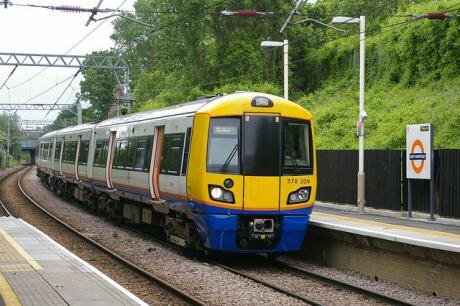 To make London Overground genuinely not-for-profit, there would need to be some changes to the law to enable TfL – or any public body – to own rail services. This is what we should be calling for. So while celebrating the prospect of better services, let’s make sure we see this for what it is – and what it is not. The Economist requires you to pay a pound a week to use its website. We’ll never charge for our content, but that doesn’t mean it’s free to produce. If you can chip in a pound a week, please do.